For the last 3 weeks I’ve been clinging to Christmas Abbott’s Badass Body Challenge for my home workouts. I haven’t missed a single day and I’ve been working out 5 days a week. This is the best streak I’ve been on in a couple years now. Praise. the. Lord. I’m loving this program so far and I’m definitely noticing changes already so I wanted to share my experience so far. I’m a paid member of this program (worth every penny!) and all thoughts and opinions are the sole owner of little old me. 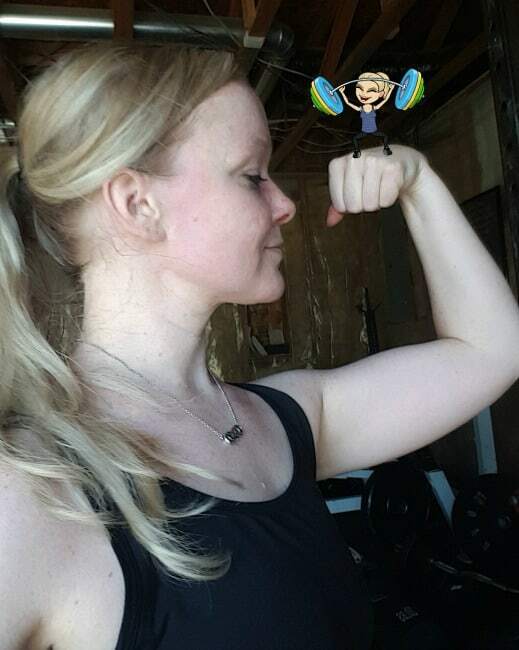 I will share final results (before/after photos + inches lost) after I’ve completed the program. Equipment required: Dumbbells, jump rope (not absolutely necessary but helpful), medicine ball (not absolutely necessary but helpful). From what I’ve finished up through week 3 the only piece of equipment you really need are a set of dumbbells though since I have the other recommended pieces, I incorporate those as well. Nutrition: You can buy the bundle which includes a nutrition guide. I did that but I’m actually following IIFYM because her brick system was too confusing for me. I basically eat whatever I want but make sure it fits into my recommend macros that I calculated here. I also have her Badass Body Diet Book and the brick system is explained in there along with lots of awesome recipes. There are also some crazy workouts to try. 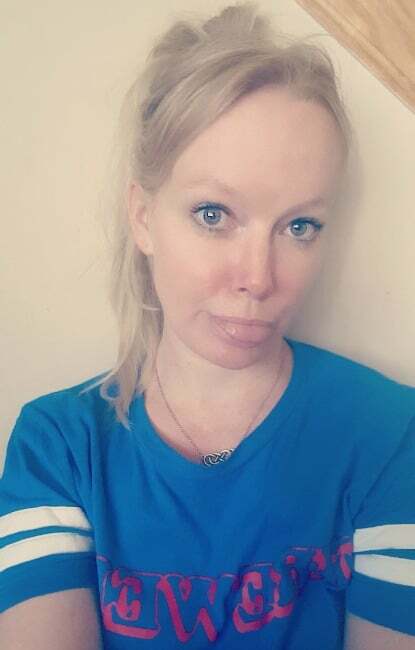 This is post-workout when I started to wonder what I was getting myself into. Definitely starting to fall in love with the program by now. Passing out on the medicine ball. Ha. Starting to really see changes and feeling excited! Everything about the workouts. They’re challenging, short and effective. Couldn’t ask for much more than that. Circuit-style workouts most days + an “Endure It” workout. Minimal equipment – makes it easy to do from home. I’m sore daily which lets me know I’m creating change in my body. This is a program I can continue to do and not get bored. I love the variety. There are warm-up and cool-down routines for each day. Those stretches feel ah-mazing. I can jam to my favorite playlists! Hoping to make a brand new one tonight. It’s been too long! I’m sleeping like a baby. The brick system she uses in the nutrition guide. Just not a fan. 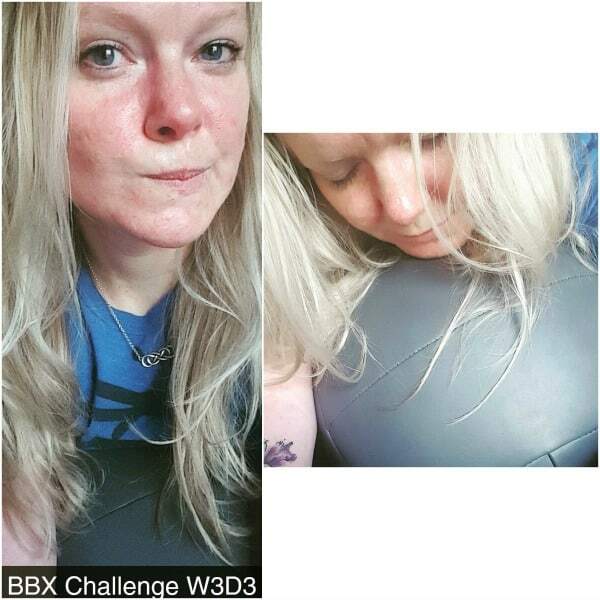 You can purchase the BBX Challenge workouts separately! I don’t think she has enrollment for the BBX Challenge open all the time but I could be wrong. Either way she does offer 30 and 90 day fitness programs on her website. I appreciate this program because I am not naturally a “gym rat”. I love my workouts but I prefer them to be short, challenging and effective more often than not. 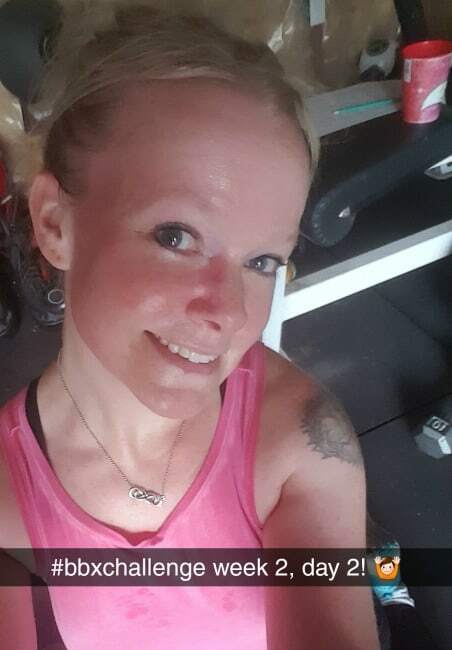 I’m excited to be kicking off the first workout of week 4 tonight after work! This body challenge seems so awesome, Mindi! Excellent and very inspiring post. Keep up the excellent work!